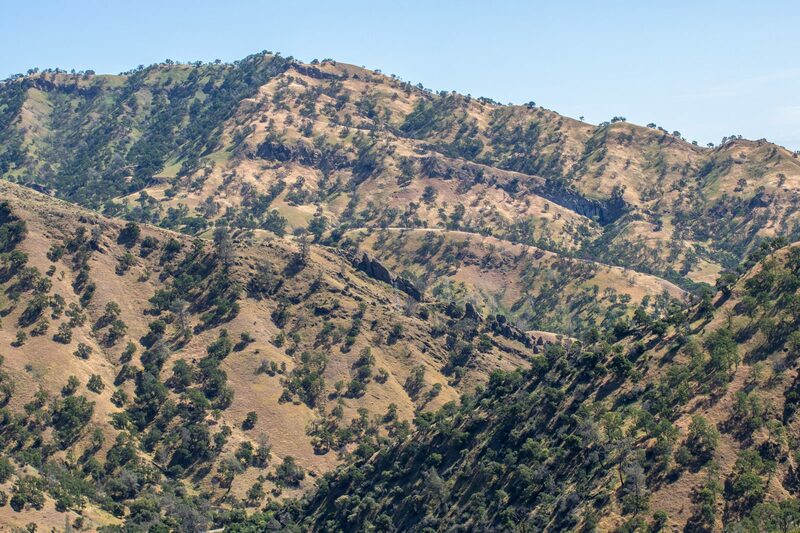 Staff who oversee the NRS's Stebbins Cold Canyon Reserve, which has popular hiking trails, are taking a broader approach to keeping visitors safe in the wake of another heat-related rescue over the weekend. 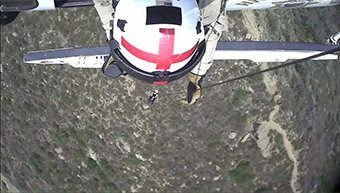 A woman who ignored warnings and hiked Stebbins Cold Canyon on a 106-degree afternoon had to be airlifted to safety by a CHP helicopter Saturday, underscoring both the dangers the heat poses and the fact that staff can’t physically block access to the vast parcel. The reserve's sharp ridgelines and rocky, steep terrain make hiker rescues particularly difficult. Going forward, the trails won’t simply be open or closed. Instead, staff members will provide broader safety guidance based on the wide range of conditions that occur at the site. Staff plan to add more noticeable signs warning about the dangers of hiking in the heat. “Our end goal is to be extremely transparent about the risk so that people using the trails can make informed decisions,” said reserve director Sarah Oktay. Stebbins is primarily a teaching and research site, but each year about 65,000 people visit its hiking trails. The reserve was closed for a year after the 2015 Wragg Fire caused widespread damage, and was closed earlier this summer because of danger from the nearby County Fire. Now, temperatures have again risen and air quality at the reserve and in the broader region is poor because of smoke drifting south from the 110,000-acre Carr Fire near Redding, but visitors continue to seek out Stebbins’ seven miles of challenging trails. Staff had been posting trails as closed whenever Solano County Emergency Services deemed it dangerously hot — but the steep and complicated topography makes it impossible to physically block access to the site. Furthermore, the trailhead provides access to other state lands that remain open for hunting and fishing, regardless of conditions. Clary suggests hikers wait for a more forgiving season.